Two switch issue have crept into Pinbot over the last few months and I wanted to take a look at them. The first relates to the ramp switch, which lets the game know if the ramp is up or down. When the ramp is down, the switch should be activated. There are two coils which control the state of the ramp and if the switch is in the wrong state, the game will continually try and activate a coil. This was the behavior I was seeing. The ramp would be down, but the coil would continue to fire. First task on the to do list after my last update was test the carry switches on all score reels for each player. 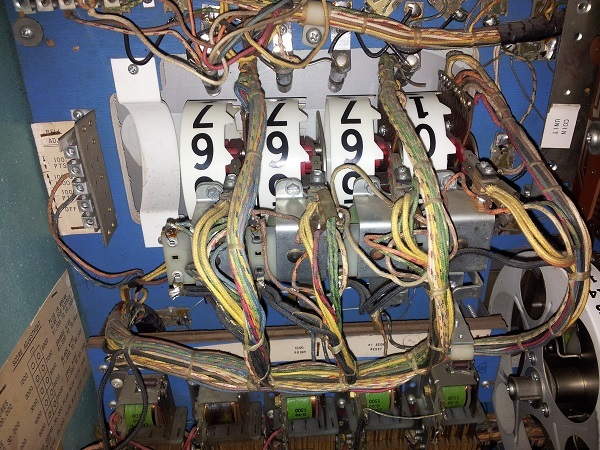 Previously, I tested that the score reels all advanced when the 10, 100 and 1000 point relays were manually triggered. These work and the score reels advance. This testing was done in game over / attract mode, so only the 1000 point carry switch could be tested. I now wanted to expand my testing to check the carry switch on the 10’s and 100’s too. These can only be tested with a game started. I finished the last update with the machine successfully running a game – so I’m was ready to begin. During my initial inspection of the machine in the first update, I had noted down a few things to look at before I attempted powering it on for the first time. This update will focus on these items. First on my list is the fuse panel. 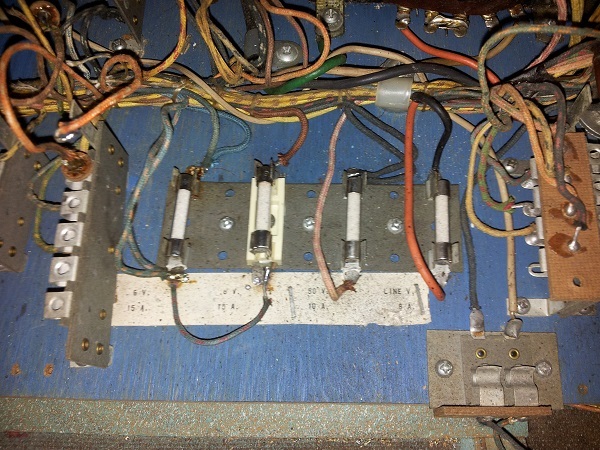 Located just inside the coin door, there is a small panel which is home to 4 fuses. 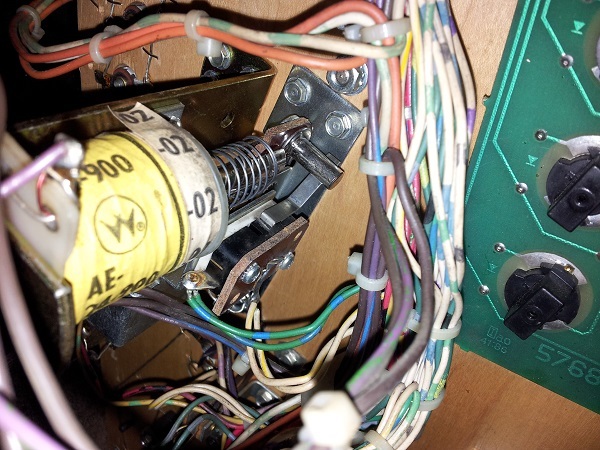 My understanding is that the fuse clips on Bally EM’s are crap and a common source of problems as they often break. One of the fuse holders has already been replaced, with the new fuse holder being installed over the old one. The fuse holder on the far right (8A line fuse) is missing one of the clip arms, so this will have to be replaced.